Lip synchronization can make or break a game's translation, and thankfully, it will soon be much easier for developers to do it right. 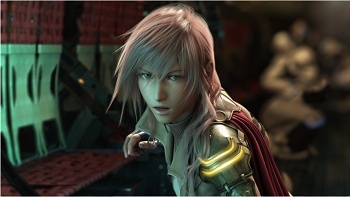 Normally when translating a game like Final Fantasy XIII, a studio would have to either manually re-animate lip movements to the new language or match the dub to the present lip animation. This process can be costly or detract from the original dialogue in order to make it fit. That may soon change. Image Metrics, a company known for its facial animation technology announced that it will be partnering with localization company Babel Media to improve the technology used in game translation. With the facial animation technology, matching dialogue and lip movements will become much easier and cheaper. While this will not eliminate all localization costs, writers and translators are still required to deliver a proper rendition of the new script, it will certainly make things easier. "With localized versions driving an increasing amount of blockbuster game revenues, developers need a more efficient and more effective solution for localization of dialogue and animation in multilingual titles than the current practice of dubbing titles by manually syncing existing English facial movements to the localized audio track," Image Metrics EVP of Sales and Marketing Brian Waddle said. "Our solution eliminates poorly dubbed titles and instead affordably produces a more realistic, richer and more immersive localized version, which will significantly improve the player's experience." Already, Image Metrics uses actual recordings of actor movements as they deliver the lines to animate the character's faces. This will be taken a step further by using video footage of the actors as they deliver the dubbed lines taken by Babel Media to create animation data that can be directly uploaded into the game. The technology is intended to allow for a dub to happen seamlessly, almost immediately, and without any additional cost to the developer. Even better, a number of games are already primed for use of this new method. Image Metrics has used the original recording technology for a number of games on the market such as Assassin's Creed II and Grand Theft Auto IV. "Developing games which connect with local cultures and give the player a fully immersive experience are critical to success in the global video game markets," Babel Media CEO Richard Leinfellner said. "Image Metrics' facial animation adds impressive believability to games and greatly supplements our deep knowledge of localization, audio and pre/post production processes; no longer does it take valuable development team time to get great localized on-screen acting." With the amount of facial detail and voice work in games, this technology will greatly improve the translation process. The drastically lowered cost will help even smaller studios to release games worldwide with much greater ease. Given the number of games that don't cross national borders, this is definitely good news for gamers.